The American Liberty Gold series launched in 2017 to mark the 250th anniversary of the establishment of the United States Mint in 1792. The first coin issued was a one-ounce 24k gold coin featuring a modern depiction of Miss Liberty as a young African American woman. 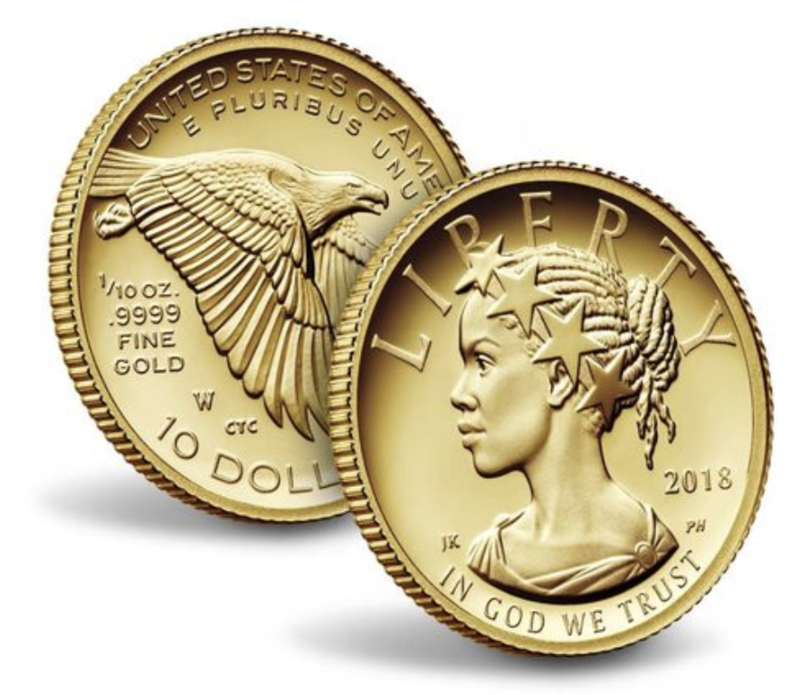 News of the release of this coin broke into mainstream media outlets for its historic importance as the first United States coin to feature Miss Liberty as an identifiably African American woman. While many in the coin industry hoped the gold coin would reach collectors far and wide, its one-ounce weight put the coin out of the financial reach of many collectors. Thus, in 2018, the US Mint issued a smaller, tenth-ounce gold coin with an identical design. US Mint officials have hinted that other issues in the American Liberty gold coin series are to come and are likely to feature other modern depictions of Miss Liberty, including those with faces and features representing various other ethnic groups.